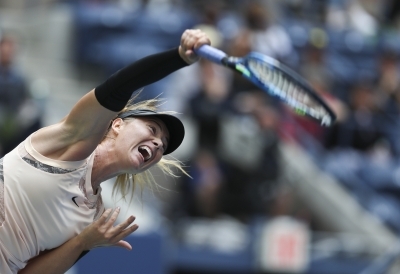 New York, Sep 4 (IANS) Maria Sharapova’s first Grand Slam tournament in 19 months ended with defeat by Anastasija Sevastova in the US Open fourth round. 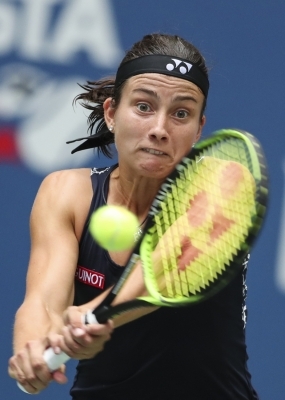 Latvia’s Sevastova, the 16th seed, won 5-7 6-4 6-2 to reach the quarter-finals in New York on Sunday, BBC reported. The Russian was warmly received by spectators and organisers were happy to draw on her star power, putting her on the main Arthur Ashe Stadium for all four of her matches. That decision was described as “questionable” by fifth seed Caroline Wozniacki, but Sharapova simply responded that scheduling was not her responsibility.